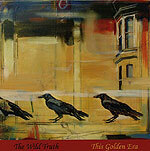 CD review: "This Golden Era"
Those wanting to support local musicians but not inclined toward either Top 40 cover bands or folk music might do well to give a listen to The Wild Truth. A power-pop band with enough melodic hooks and ear candy to please those weaned on bands ranging from Split Enz to the Little River Band to Ben Harper, The Wild Truth's latest CD, "This Golden Era," has as polished a sound as any band on a major national label. This is undoubtedly due in no small part to the fact that lead singer Sven-Erik Seaholm is better known for his production work on CDs by major local acts like The Farmers and Crash Carter. But he's also a very pleasant vocalist and wrote or co-wrote every radio-friendly track on the disc. The sound is also underpinned by the outstanding work of former Playground Slap bassist David Ybarra and drummer Bill Ray. And guitarist Charlie Loach provides just the right punch on his solos to give the band's sound some real heft. Mostly it comes down to those songs, though  if the rest of us can find a way to get radio back to a time when dee-jays picked the songs they played, The Wild Truth will be all over the airwaves with unforgettable little gems like "Yeah," "This Golden Era" and "Down in the Dirt."